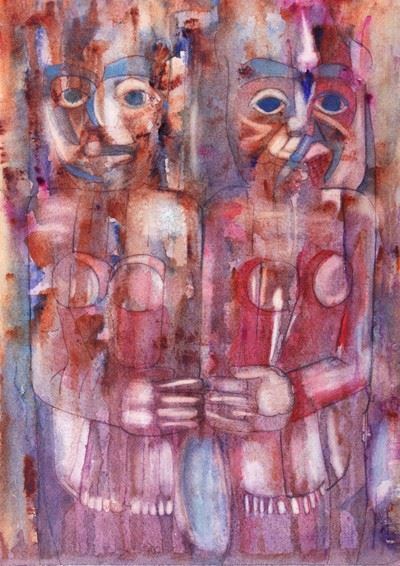 This one-day workshop is designed for students with some watercolor experience. 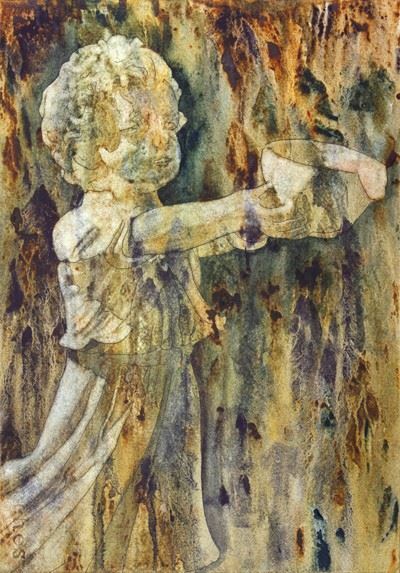 Learn a unique method of producing texture on paper using the "rivulet method" devised by Susan Murphy. You will then create an image with lifting-off and glazing techniques. 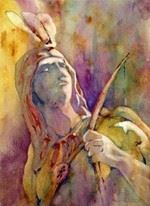 The workshop will focus on painting the figure of a statue, using your own reference material or that provided by Susan. In this workshop, Susan will be demonstrating the methodology behind her “rivulet technique”. 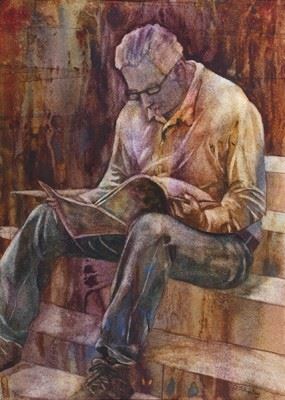 This is something artists have asked Susan many times, as they are intrigued by the texture found in the background of some of her paintings. It is a technique she revised many years ago while trying to solve the background problems in paintings of construction rubble. 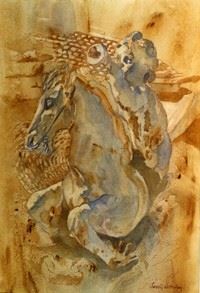 Susan described the technique in an article she wrote for WatercolorPage of American Artist magazine in 1986! With a little practice and the right materials, other artists find the rivulet technique easy to learn. Below are some excellent examples of paintings done by students in her regular classes. The technique can be applied to many subjects besides figures. 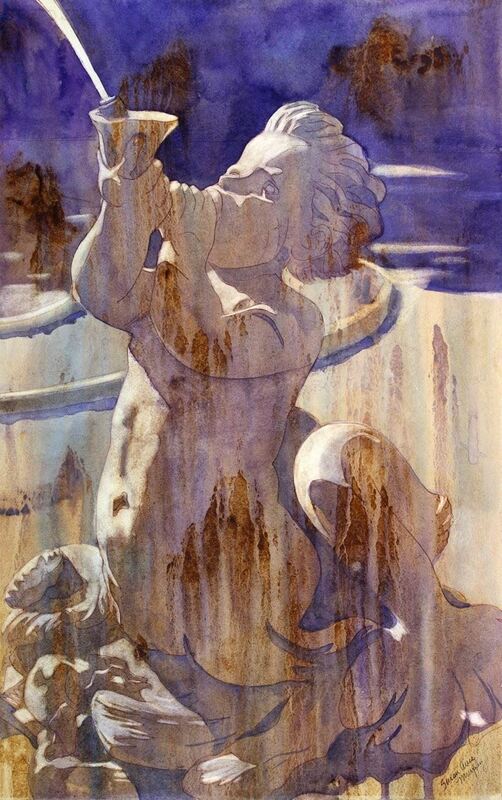 Susan will be doing a partial demonstration of the painting of a statue similar to the one shown at the top of the page (“Water Sprite”) and then she will have you practice the rivulet and lifting techniques on a small piece of Arches 140lb cold-pressed paper. For the finished painting, you will either work from your own reference photo of a statue, or you can work from one Susan will provide of a statue similar to the one used for the demo. You will be shown a method to transfer a tracing of the image onto the watercolor paper (using a printed template of the image and graphite transfer paper). Your finished painting will be either a quarter sheet or half sheet size (11x15” or 15x22”). You will be sharing a 6 foot table with another student, so please don’t bring a huge board. From the Baltimore Beltway (I695) take the exit onto I-70W and follow for 4.4 miles. Take exit 87B to merge onto US-29N towards MD99. Turn right at Rogers Ave. At the traffic light , take the exit to stay straight on Rogers Ave. Turn left at High Ridge Rd. and the Howard Co. Center for the Arts is on the left. Registration Deadline: April 30th unless the program is full prior to this date. Cancelation: 75% refund if notified no later than April 30th 2016 Refunds for later cancellations are subject to availability of a substitute participant.